Years in practice. 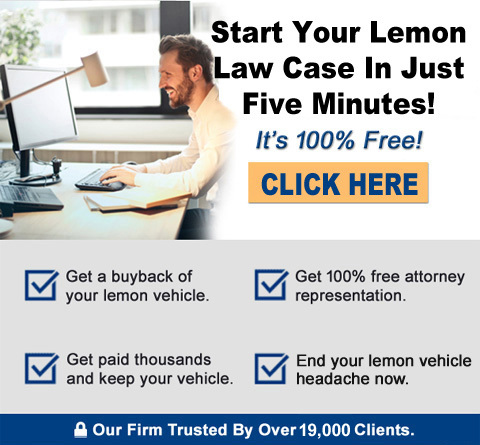 The Law Offices of William R. McGee, California Lemon Law Attorneys, is a law firm that has 30 years of case management and trial experience, settling/winning thousands of cases, growing to be California’s Largest Lemon Law firm. Mr. McGee, the firms lead counsel, has years of extensive court trial experience with foreign and domestic auto manufacturers, a requirement in making the auto “giants” think twice about whether or not to settle a case, or risk going to a court trial. Practice Exclusive to Lemon Law. The Law Offices of William R. McGee practices Lemon Law – exclusively – for 30 years. Mr. McGee was one of Lemon Laws “pioneers”, when lemon law legislation was being passed in the mid-eighties. He is one of California’s most experienced Lemon Law attorneys. Size of Law Firm / Law Firm offices based/located IN California. The Law Offices of William R. McGee is a California based Lemon Law firm fully staffed with numerous experienced Lemon Law attorneys. Our offices are located in California and serve all California residents. We are are California’s largest exclusively Lemon Law attorney firm. Our attorneys practice nothing other than Lemon Law, and travel throughout California to visit the firm’s clients during the course of many Lemon Law cases, as required. All attorneys at the firm are under the direction of William R. McGee. We are NOT an “out-of-state” Lemon Law firm with main office(s) and/or attorneys based in another state, which you may find on the internet. Research and Technical Department. Letting auto manufacturers know that you know what they know about known problems with their vehicles is tantamount to a successful Lemon Law case. Our law offices feature a fully staffed Research and Technical Department. The Lemon Law attorney requires this information about each vehicle’s problems to properly pursue a Lemon Law case. You can speak with our Research and Technical Director simply by calling our toll-free number to discuss your vehicle. Simply knowing about common manufacturer’s documents like TSB’s (Technical Service Bulletins) is only the beginning. We have access to documents that no other attorney firm in California has, and use them extensively in settling (winning) Lemon Law cases. Free Case Reviews & Evaluations. Free Consultation. When you call our offices regarding a potential Lemon Law claim, your call, case evaluation & review, or consultation with the attorney is at no charge to you. Attorney’s Fees. Our firm accepts cases on a “no fee” basis. This means no “up front” Retainer Fee to start your case. No money required from you during the course of your case – or after the case. Our legal services are 100% free to you. Also, if we are unable to resolve your case, you owe us nothing. Costs of Suit. Our firm will advance all costs of suit for our clients, while many other firms will ask the clients for costs of suit during the course of their case. We put out the money, and we put it in writing for you. Our services are free to you. Attorney’s fees are billed to the automobile manufacturer. Accepted cases are at no cost to the client. And, of course, if we are unable to resolve your case, you owe and pay us nothing. The manufacturer -by law – is required to pay the attorney’s fees to the attorney. Trial Record. The Law Offices of William R. McGee has extensive civil court trial experience. Though very few of our cases go to trial, it’s important to know that Mr. McGee is one of California’s most trusted – and respected – Lemon Law attorneys. Our office will be pleased to fax you written summaries of past and recent trial results. Our clients are routinely awarded additional “Civil Penalty” monies in trial cases, in addition to their Lemon Law repurchase and monetary refund. California State Bar certified Attorneys. William R. McGee, and out associate Attorneys of the firm, are all California State Bar certified to practice law in California, Associate attorneys at the firm have been practicing California Lemon Law for many years. Seeing the Case Through. Some cases will settle quickly without a lawsuit. Many will not. This is where our firm’s experience counts. This is the Lemon Law attorney “litmus test”. We will vigorously pursue your Lemon Law case against the manufacturer to get the results you need. When needed, we come to you. Our attorneys travel the state, offering our clients a minimum of inconvenience. Expert Fees Responsibility. Our law firm advances all costs including expert fees. Experts can run from the hundreds to thousands of dollars. We advance this, and do not ask you to. Our services are free to you. Vehicle Defect Verification. Our law firm advances the costs to hire an automotive mechanical expert in certain cases that require this step to effectively pursue the manufacturer. Our services are free to you. The Human Touch. Your experience with our office will be met with friendly, knowledgeable representatives that take a genuine interest in not only your Lemon Law case, but you, the client. This is the “personal touch” our offices have been recognized for during our 30 years of service to California residents pursuing Lemon Law claims. COPYRIGHT VIOLATION NOTICE: The concept, architecture and copy content of this web page, including, but not limited to “Why Choose Our Firm” title and wording, “check sheet” boxes, “Research and Technical Department” title and wording, “Expert Fees Responsibility” title and wording, “The Human Touch” title wording, and other proprietary terms and language are strictly forbidden from duplication in any part, form, or similar manner whatsoever.